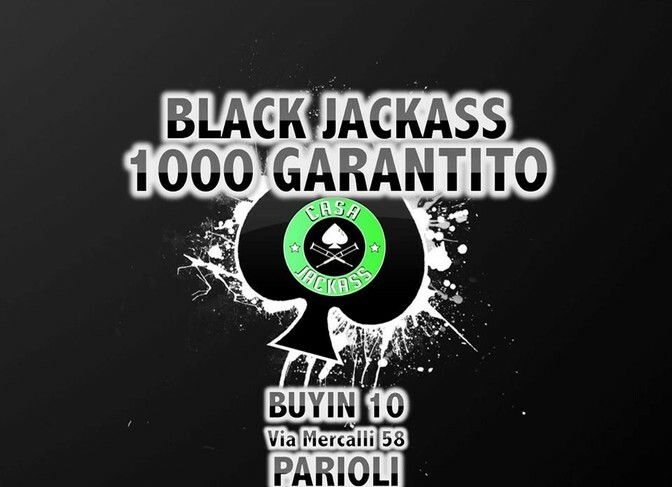 BLACK JACKASS 1000 GARANTITO - BUYIN 10! - Texas Holdem Poker - Tornei Live di Poker a Roma. BLACK JACKASS 1000 GARANTITO - BUYIN 10! Ultimi giorni per vincere il JACKPOT PROGRESSIVO SALITO a 250! - Bonus +10.000 STACK PUNTUALITA' ENTRO 1° liv! !